Bulb flowers are a springtime joy. These forms of plants require a little pre-planning for the best displays and most blooms. Novice gardeners may wonder how long for bulbs to grow. This depends upon their pre-chilling requirements and your zone. Bulbs purchased at a nursery will usually have a guide on when to plant them and some information on planting bulbs. Find out if you have purchased summer- or spring-blooming bulbs. This gives us a cue on when to plant, thus when they sprout. How Long Does it Take for Bulbs to Sprout? Answering the question, “how long does it take for flower bulbs to grow?” may take a little explaining. 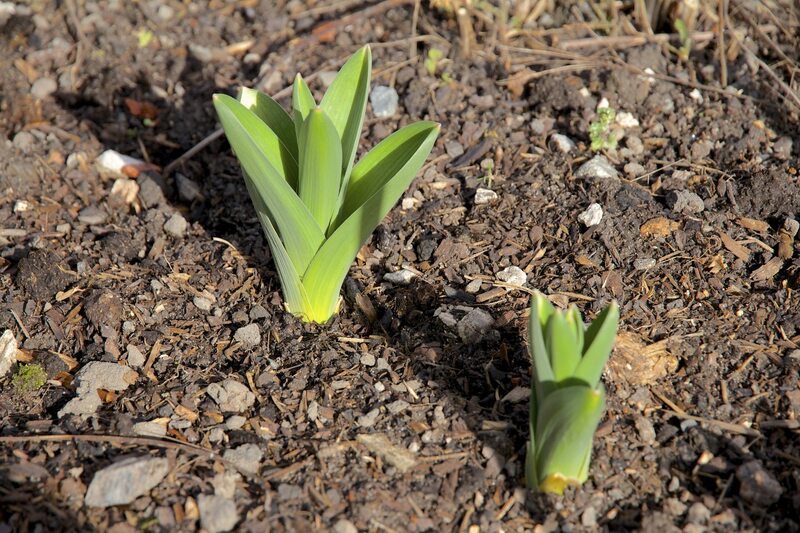 Spring bulbs grow and bloom when warm temperatures arrive. They only form flowers if they have had the proper chilling period to break dormancy. 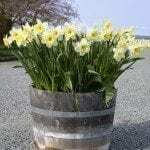 In most of the country, October is the best time to plant spring bulb flowers. This allows the bulb a chilling period of 12 to 15 weeks, which is necessary for spring bulbs to sprout. Spring bulb flowers need to experience temperatures of 35 to 45 degrees Fahrenheit (1 to 7 degrees C.) for up to 15 weeks. 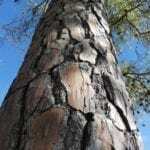 The time for bloom after chilling varies by species. Tulips need 10 to 16 weeks of chilling and will sprout 1 to 3 weeks after the required period. Crocus, grape hyacinth and daffodils have similar spouting times, but crocus and grape hyacinth need 8 to 15 weeks of chilling and daffodils 12 to 15 weeks. Snowdrops can begin blooming 2 weeks after chilling and need 15 full weeks of cold temperatures. 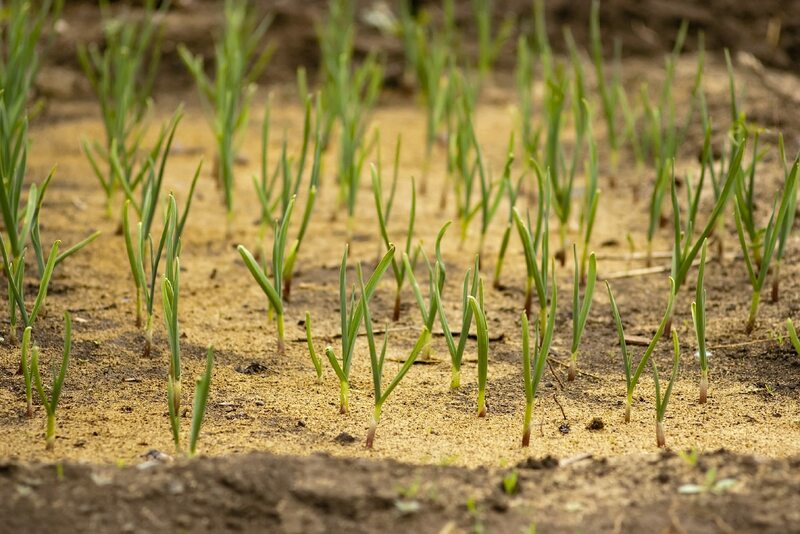 Iris and hyacinths need 13 to 15 weeks of chill period and will also sprout 1 to 2 weeks after the requirement is fulfilled. Lazy gardeners never have to fear if they didn’t plant their spring bulb flowers in the fall. You can purchase bulbs in spring which have been pre-chilled or you can chill your bulbs through winter yourself in your vegetable crisper. Allow for the appropriate number of weeks and keep bulbs away from ripening fruit like apples and tomatoes. You can use these methods to bring bulbs indoors for an earlier bloom. Plant bulbs in a pot that is twice as deep as the bulb in a soilless mixture. Soilless mixes help prevent rot, which is a common problem in container bulbs. Try planting bulbs without soil on a 2- to 3-inch layer of glass beads or rocks. Add just enough water to reach the very bottom of the bulb. Once proper chilling periods are fulfilled, you should see the bulb sprouting in just a few weeks. How Long Does it Take for Flower Bulbs to Grow and Bloom? The actual time to flowering will depend on several factors including adequate water, lighting, soil type and heat. On average, spring bulbs will start to flower very quickly after their chilling period has been met and warm temperatures remove dormancy. Flowers usually form 2 to 3 weeks after the chill period is over, which is a week or so after they sprout. The process is quite speedy but, fortunately, most spring bloomers are long lasting and produce a color show for a week or more. Some bulbs require no chill period such as paperwhite, amaryllis and freesia. These are ideal for the gardener who forgot to plant their spring display and can grow easily indoors or outside once all danger of frost has passed.